Majority of diasporan Armenians are citizens of host countries that they reside and according to the present constitution of Armenia they cannot be elected to Armenia’s Parliament or hold high positions in Armenia’s government. Just like any idea with significant political implications both at home and abroad there are a number of pros and cons that will be considered in this article but not all of them necessarily addressed as a bigger study needs to be conducted both in Armenia and diaspora and more articles need to be written about this topic before the idea gets off the ground. If other countries have such experience it must be carefully studied and revised as necessary to meet the needs and present-day realities in Armenia and diaspora. 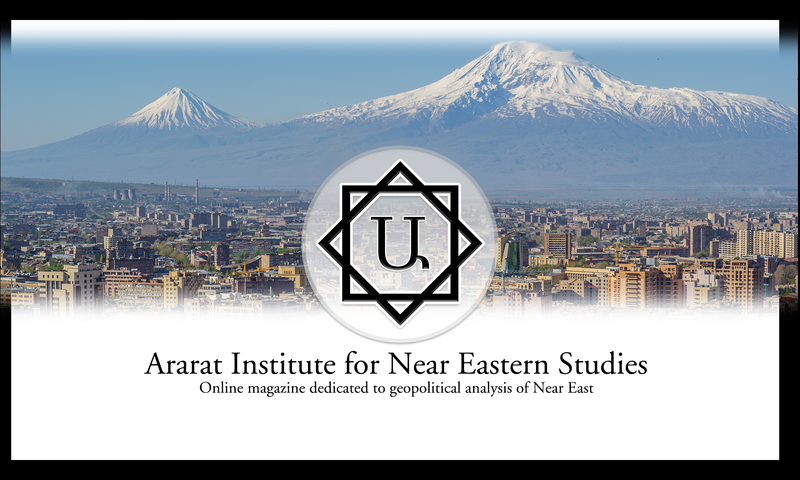 For the past twenty years if not more, the idea that Armenian diaspora should be represented in the government of Armenia has been brought up and argued over in various media outlets, including by this publication. Now that the government in Armenia is considering this option of integrating Armenian diaspora in the decision-making process taking place in Armenia it is the most appropriate time to discuss the merits of this idea and devise a conceptual framework of how such an idea may be implemented if embarked upon. Many (not all) diasporan Armenians would agree that the amount of support that Armenia has received (including Artsakh) from them is tremendous and amounts into billions since 1988 devastating earthquake that took away more than twenty thousand lives and shattered cities of Gyumri, Spitak and dozens of towns and villages within their vicinities. The aid received by Armenia from diaspora was distributed among various layers of Armenia’s society including war veterans, elderly, handicap, women, children (schools, kindergartens and orphanages), military, hospitals and medical clinics (live saving drugs and medical equipment, free surgeries and eye exams), development of country’s infrastructure (funding the construction of Yerevan-Stepanakert highway via Goris and Berdzor, North-South highway in Artsakh, and another one via Vardenis to Karvachar and Mardakert to Stepankaert). Additionally, the aid was followed by implementation of various business projects and opening up of various training centers and workshops aimed to help people in Armenia acquire skills and knowledge that is in high demand in present day Armenia (e.g. Tumo Center, etc). Significant contributions were made into the Armenia’s economy also via distribution of micro-loans to business savvy and through other means meant to support Armenia’s agriculture by gifting farmers with cattle, goats, sheep, etc.. Most was done on purely humanitarian basis and feelings of patriotism found in large segments of Armenian diaspora while others were done for business purposes as direct investments in Armenia’s economy. First time the idea of incorporating diaspora representation in government of Armenia aroused around 2006-2007, when Armenia and Azerbaijan were discussing one of several options for resolving Armenian-Azerbaijani conflict over Artsakh known as Madrid Principles. This option entailed the surrender of liberated territories back to Azerbaijan while postponing the decision on the legal status of Artsakh to some indefinite time in the future. Many would agree that Madrid Principles were not realistic from the start as it failed to consider the safety of Armenian people in Artsakh and didn’t provide effective security guarantees to prevent Azerbaijan from carrying out another massacre of Armenians in the region and deporting them from their homeland. During the entire process the opinion of Armenian diaspora on this matter of pan-national importance was not considered. Second time, the concept of incorporating diaspora representation in Armenian government aroused in 2009 during public discussions of Armenia-Turkey Protocols (also known as Zürich Protocols) in diaspora meant to reconcile Armenian grievances over the role of Turkish government in the genocide of its ancestors during WW-1. This process was meant to lead both sides to the establishment of diplomatic relations between the two countries and lifting of the road and railroad blockade imposed on Armenia by successive Turkish governments since early 1990s in connection with the Armenian-Azerbaijani conflict over Artsakh. Part of the deal envisioned swapping territories between the two sides where Armenia would have given up its Syunik Province (also known as Zangezur) in the south along with portions of land along the Araks river in the south of Artsakh to allow Turkey establish land corridor with Azerbaijan. This step would have forfeiting Armenia’s land connection to Iran and the rest of Middle East and Europe where large Armenian communities reside. In exchange, Turkey was going to give up Kars, Van and other nearby territories along with Mt. Ararat to Armenia as part of genocide restitutions without necessarily recognizing the genocide. On both occasions, the opinion of Armenian diaspora was not considered. If Armenia decides to engage its diaspora in the affairs of Armenia by giving diaspora political representation there are at least two ways of achieving them. One way was proposed by Mkhitar Hayrapetyan, recently appointed Minister of Diaspora which entails setting up a consultative body called Senate which will include diaspora representatives but will not have an actual political power to do anything but consult the government on various matters of national importance. Even though the matters to be consulted about were not clarified it is logical to assume that topics related to Armenian-Turkish reconciliation, genocide recognition and establishment of diplomatic relations, and negotiations over the status of Artsakh will fall under its purview. Another matter of such importance could possibly be reconciliation of two slightly different writing and speaking systems of Armenian language generally known as old and modern dialects (Western Armenian and Eastern Armenian) into one writing and speaking system. It will be reasonable to assume that such a consultative body can also consider developing a pan-Armenian national strategy that can serve as a guide for preserving and maintaining the Armenian statehood and Armenian cultural identity both in the Homeland and abroad. The pros of such an arrangement is the inclusion of Armenian diaspora in some form to assist the government of Armenia in the matters of national importance. The cons for such an arrangement include the absence of political power and questionable legitimacy of such a structure that may not be inclusive of all Armenian communities abroad or reflect the majority opinion of diasporans. The second option is to consider allocating unspecified parliamentary mandates to representatives from diaspora thus empowering global Armenian community in all matters of state affairs that fall under the purview of the Parliament of Armenia. There are many questions of how this arrangement could be implemented. To address them all will require serious and sustained research study months and possibly years long to be conducted both in Armenia and abroad to flush out the details for such a political setup which cannot be addressed in just one article. However, what is clear is that both options described above will require amending the Constitution of Armenia and setting up of “electoral districts”, “electoral precincts”, “electoral monitors”, “electoral commissions” and other parts of a democratic electoral process which will lend credence to those who get “elected” to represent opinions of diasporan Armenian communities in everyday matters of Armenian state. Arguably there are bigger questions that need to be answered before tackling the merits of political representation for the Armenian diaspora in the government of Armenia. Perhaps the first question to answer is understanding the purpose of maintaining a vibrant Armenian diaspora in the twenty first century and the role/s that it can play in strengthening its ancestral homeland. The second question to answer is whether present realities in diaspora allow itself to partake in a shared responsibility for the future of the Armenian statehood and the continuity of the Armenian nation in its native homeland. Maybe there are other ways that haven’t been explored which will include the Armenian diaspora in the decision-making process taking place in Armenia by utilizing its vast resources in a more efficient way without necessarily granting political representation to the Armenian diaspora in the government of Armenia.